Great news - we have a last-minute entry for the May competition from Nancy McBride. If you haven't read her wonderful FAIRIES - Do they exist? then follow the link to catch up. Nancy also contributed two stories last year, Babushka the Beautiful, which was our June winner and Anglo-American Singing Tour of Australia. Once you've caught up, you can read her brand new travel story HITCH-HIKING. Nancy attracts adventure. We’re not talking cliff-hanging, here, just stuff that happens to evolve into stories. When she suddenly takes charge, her decisions may not be yours, but she gets the job done, and there’s often a tale to tell. For instance, hitch-hiking happens to her, albeit always unintentionally. Once she once hitched in a Blue-labled Bently in St. James Park, in London, much to her walking companion’s dismay. But she was hot and dragging, it was rush hour, the car was almost idling, so hitch-hiking happened. The driver turned out to be a classmate of her ex-husband, yada-yada, and when he made a sudden left, her walking companion thought for sure she had been kidnapped. The driver just needed petrol and delivered her safely to the friend’s apartment about the time he arrived, rather irritated. She was rested and fine, thank you very much. Many thanks to Susan Joyce for her latest entry in our Travel Story competition. It is an excerpt from her wonderful book The Lullaby Illusion. Read and enjoy Finding Mr. Perfect! After many years of writing and editing children’s books, the 2013 release of The Lullaby Illusion represented a new phase in the career of Susan Joyce. As a child, Susan lived for the clarity of excursions, with her dog Brownie, in the Arizona desert. To escape the chaos of her crowded home. And her Pentecostal preacher father. When she came of age, a husband promised a new life of adventure. And freedom. To Israel. To Cyprus, and a war that somehow involved her husband. Her clairvoyance almost got her killed in Belgium, and left her penniless in the street. In Germany, she reinvented herself as an artist and writer. ​This twelve-year memoir of profound personal transformation and friendships is a true page-turner. You will find yourself repeatedly asking what could possibly happen next? A warm welcome back to Lucinda E Clarke, our May winner from last year with A Trip to the Seaside. She also entered another great travel story An Unforgettable Trip. Read and enjoy her brand new entry THE CHEAP FLIGHT THAT COST PLENTY. Born in Dublin, dragged up in the Cotswolds and finished off while training to be a teacher in Liverpool. Three years later she was abandoned in the African bush with a 9 week old baby. The following year she left Kenya for five and a half years in Libya. Experiences here included broadcasting live on radio with a bayonet at her throat and viewing a public hanging. On to Botswana still teaching, and running the worst riding school in the world before relocating to South Africa. This time she was fired from her teaching job, she will never know why, and ‘fell’ into the media scriptwriting for radio and television. Before she left South Africa for a laidback retirement in Spain, she’d set up and run her own video production company. Lucinda has self published 6 books in the last three years in various genres and is currently working on the next one. Welcome again to Elizabeth Moore, who has another fantastic travel story to share with us. You may remember that Elizabeth was our March winner with Le Petit Train Jaune. We also featured her entry From the Lanai in April. Now you can enjoy her latest story Saved by Ruby Slippers. Elizabeth has lived in Australia all her life. She is happily married, a mother of two, grandmother of four and devoted assistant to one very bossy tortoiseshell cat named Lucy. Her working career began as a speech pathologist and later morphed into the totally unrelated field of retail manager in a university science centre and planetarium. Travel has always been a focus and yes – there has always been a bucket list. This was brought into stark relief when she was diagnosed with breast cancer and following treatment, a travel timetable began to take shape. Guam was first, followed quickly by European and North American adventures. Illness nudged another longheld interest to the fore and Elizabeth began chronicling her trips with extensive photography, promising herself she would also write about her exploits. Paris has always been top of the list. This adventure was an interesting introduction to the City of Light. Robert Fear has been nominated for the Best Newcomer category in the 2nd Annual Bloggers Bash Awards 2016. This is a great honour and heartfelt thanks go out to Caryl Williams and fellow bloggers for their nomination. 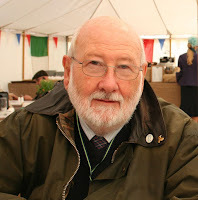 It is, as always, a great privilege to feature another very different travel story from our oldest and most prolific contributor, John Rayburn. Last year he entered four stories and was the July 2015 winner with Here We Go Again. You can check out his other entries from last year via the 2015 Travel Stories page. This year we have been treated to A Reluctant Angler and Hither and Yon. 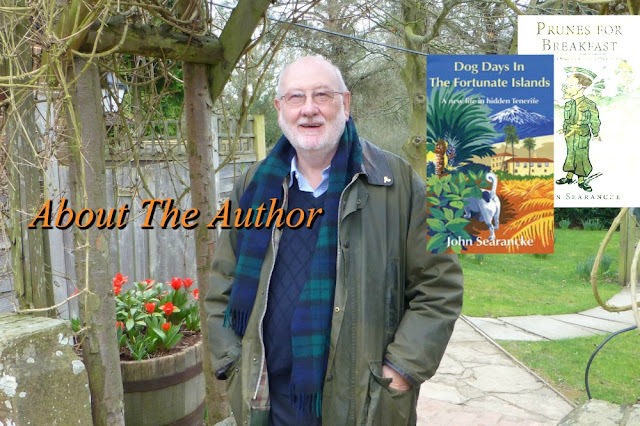 Read and enjoy John's latest fantastic entry Which Way is UP ? John Rayburn is a long time Radio/TV performer (62 years altogether). He won countless awards, established outstanding TV news rating figures and is a member of a Broadcast Pioneers Hall of Fame. He did play-by-play broadcasts for football, baseball, basketball, hockey, golf and auto racing. John recorded dozens of books for the National Library Service and interviewed countless numbers of national personalities. In addition, he did an on-stage presentation of Old Time Radio throughout the United States. He portrayed a Senator in a made-for-TV movie starring Cheryl Ladd. 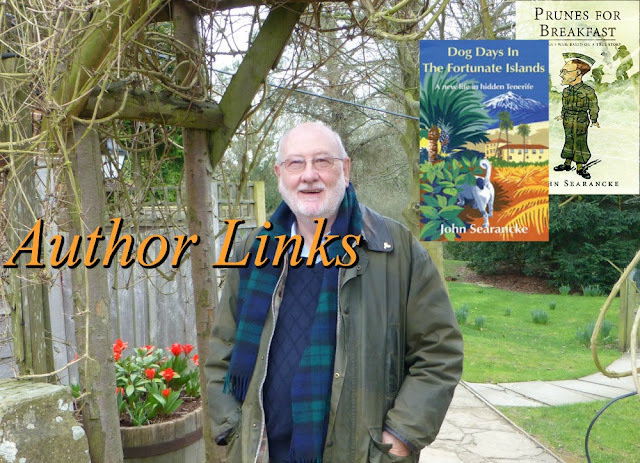 John claims, “I’m not retired, I’m diversified,” and at nearly 89 years old has sixteen eBooks published, with the next one well underway. Have you got a travel story to share? Our annual travel story competition is well under way. Have you got a memorable travel story to share? There are great prizes to be won and the possibility that your entry could be included in the book that we are planning to publish after this year's competition. Find out more details on the Competition page. Read all of this year's entries on the 2016 Travel Stories page. We look forward to reading your travel story entry. It is a great pleasure to welcome back Jill Dobbe, who has a brand new travel story for our 2016 competition: RIDING AROUND IN RICKSHAWS...REALLY? You may remember Jill's entry from last year: I SURVIVED MT. SINAI (BARELY)! If you haven't seen it yet then follow the link for a very enjoyable read. Jill is an international educator and published author who writes about her experiences living and working in schools and countries around the world. She presently lives in her seventh country, Honduras, with her husband, Dan, and her Yorkie-Poo, Mickey. While working as an elementary principal, Jill also writes, travels, takes photos of the beautiful people and countries of Latin America, and muddles her way through the Spanish language. Jill loves her life as an international educator, and most days feels like she is living her dream. Many thanks to our entrants for the April travel story competition. There were four featured entries during the month from Elizabeth Moore, Jackie Parry, John Rayburn and Richard Klein. If you haven't read these fantastic stories yet, follow this link and enjoy them through the 2016 Travel Stories page. for her story Walking on Water - A Shark Encounter That Changed my Life. 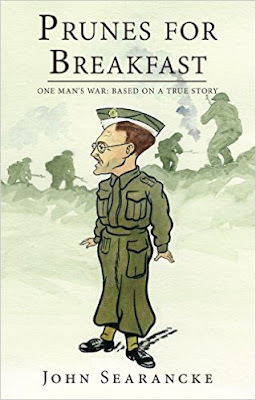 If you are enjoying this competition then please share the link with anyone you know who would either like to read the stories or even enter one or more themselves. Selling up, they make the move to the north of Tenerife, a part almost unknown to the casual tourist – their very own hidden paradise. Relaxed and surrounded by stunning coastal views, life in their new home, set amidst orange groves and banana plantations, is very different indeed! The weather is fantastic, the temperature idyllic, the people so friendly and the cost of living outrageously low… what more could they ask for? 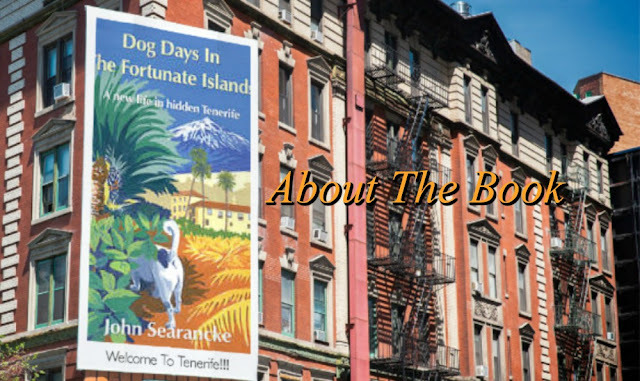 Dog Days In The Fortunate Island Is Available in eBook & Paperback Format at Most Online Retailers. 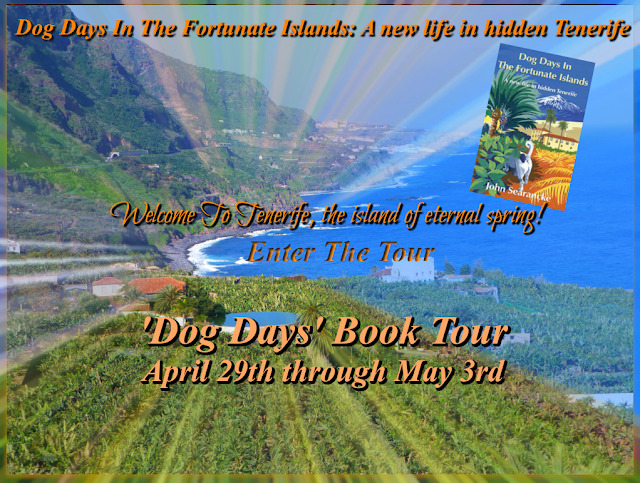 From April 29th through May 3rd the eBook is available at a huge discount! You can get this ebook for $1.99 at most good retailers! Click A Link below and get your copy today, you'll love it! started a new business together, a commercial legal services company, something completely new for both of us. 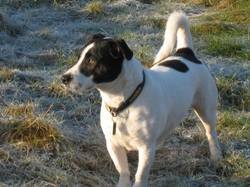 During that time we encountered a puppy, Freddie, a Jack Russell/Staffie cross, who we “rescued” from the RSPCA and fell in love with. Author John Searancke is offering everyone that purchases Dog Days in The Fortunate Islands a chance to win 1 of 3 eCopies of Prunes For Breakfast! Email Us at rukiapublishing@mail.com with your proof of purchase to be entered to win!!! 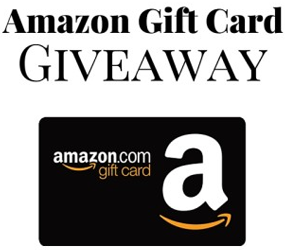 Enter For Your Chance To Win A $25 Amazon Gift Card From Rukia Publishing Book Promotions!!! "Let's Give 'em Something To Talk About"